On the evening of Saturday 10 Feb, Ashford Street Pastors and supporters gathered together at Aldington Village Hall to say goodbye and thank you to Eric Cooney. Ashford Street Pastors were delighted to be given this opportunity to show our respect and love for Eric and to thank him publicly for his contribution to caring for the vulnerable in our community. Eric started volunteering for Ashford Street Pastors long after most people decide to put their feet up in front of the TV on a cold winter evening. He keeps himself fit and active enough to regularly walk 6-7 miles on patrol on Friday night/Saturday morning. His eyesight is keen enough to spot potentially hazardous bottles and glasses while his pockets are deep enough to carry several bottles of water and handfuls of lollipops. His ready smile and cheery greeting often result in conversations on a wide range of topics from the design and construction of the award winning shared space on the ring road to the merits of red wine and sherry (in moderation of course). Eric was one of the initial group of Christians from various churches who worked together to launch Ashford Street Pastors in 2010 and has therefore been instrumental in the creation and development of our initiative. His experience, wisdom, insight and dry sense of humour will be sorely missed by everyone involved in our charity. He is kind and patient and able to relate of people of all ages and backgrounds and often tells stories and anecdotes relevant to situations we encounter. Eric has regularly been caring, listening and helping while on patrol and has assisted some of the 1766 vulnerable people and contributed to removing 5080 bottles and glasses since 2010. Eric has been involved with at least one night-time patrol until end Oct 2017. Then he was part of our trial daytime patrol in Nov but unfortunately at present we do not have enough volunteers to run daytime as well as night-time patrols. He is still keen to be involved in daytime patrols when we have sufficient resources to run them. Eric has a genuine love for the people of Ashford and this is shown by the gentleness with which he cleans cuts and bruises as well as the care and thoughtfulness that he uses when keeping hair out of people’s faces while helping them after they have made themselves unwell through excess alcohol consumption. He is excellent at assessing whether someone needs a sugar boost or is feeling dehydrated and always has lollipops or bottles of water readily to hand. He is keen for everyone to get home safely and has often acted as an intermediary so that friends are reunited and lifts home coordinated. He is a trained first aider and his actions have sometimes made the difference between either a good end to an evening out or a visit to A&E. 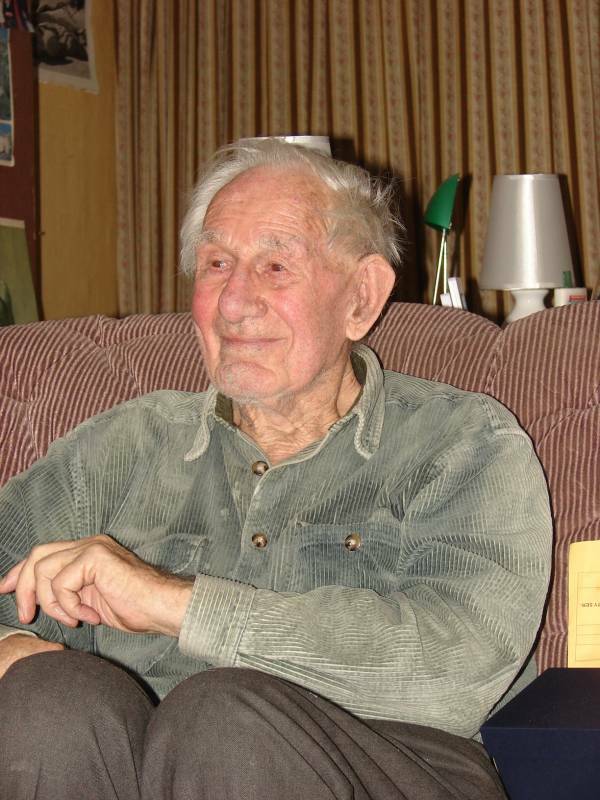 Eric was a reservist in WWII while he was training to be a civil engineer and then he served in Egypt. Afterwards he helped to build nuclear power stations and in retirement he has continued to serve his community. 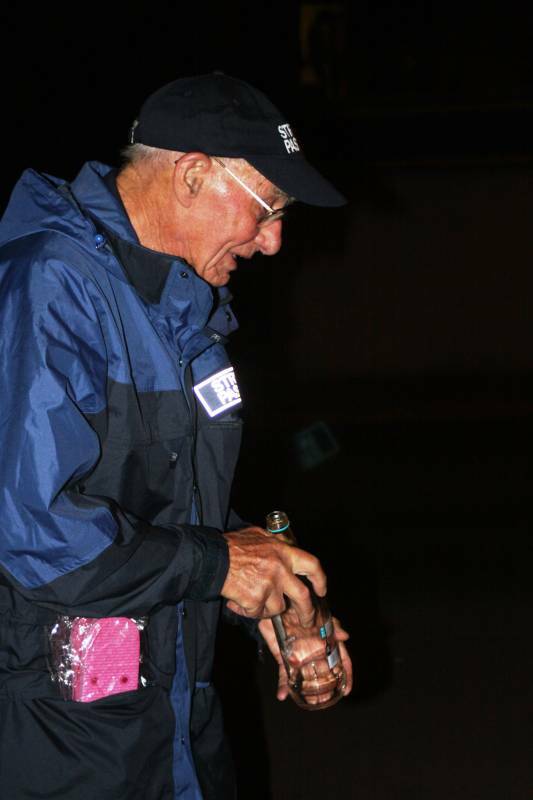 His calm presence will be greatly missed both by his fellow Street Pastors and the vulnerable people we meet. Thanks Eric for caring, listening, helping.